The Piaggio Group has partnered with (RED) to support the funding of organisations that fight AIDS by unveiling a bold new red Vespa. The collaboration launch event was held on the 27th of June, and attended by Bill Gates. Gates, through the Bill & Melinda Gates Foundation, is an international advocate of better healthcare provision in developing countries. The collaboration marks the coming together of two influential brands to fight for a world where no child is born with the HIV virus. From the sale of each distinctive red two-wheeler, $150 USD will be donated to the Global Fund to Fight AIDS, Tuberculosis and Malaria. The (Vespa) RED will be unveiled at the next EICMA (motorcycle) show in Milan, from the 10th to the 13th of November. 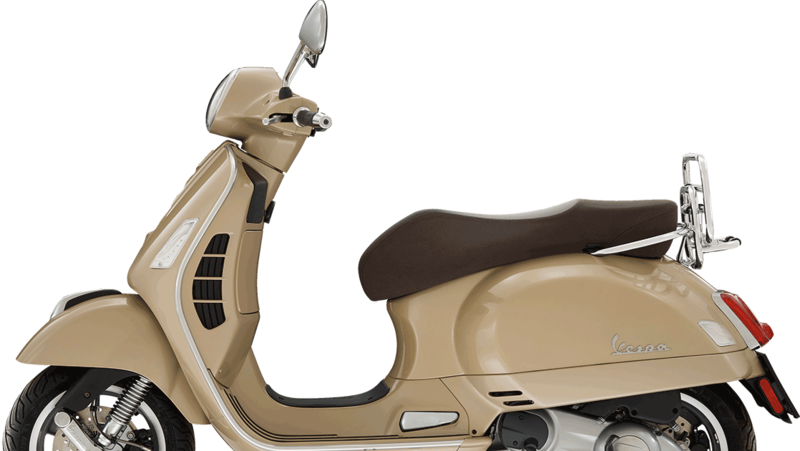 However, Vespa fans can get a sneak peak of the two-wheeler on display at a Global Fund event at the National Institute of Health in Rome earlier this week. The special edition (Vespa) RED will be sold in South Africa from December 2016, to coincide with (RED)’s Shopathon Campaign. Founded in 2006 by Bono and Bobby Shriver, (RED) has contributed $350m USD to the Global Fund to Fight AIDS, Tuberculosis and Malaria to date. These funds have been distributed to areas most in need in Ghana, Kenya, Lesotho, Rwanda, South Africa, Swaziland, Tanzania and Zambia, with 100% of the resources designated to activities on site. (RED)’s support for The Global Fund has impacted and benefited more than 70 million people with prevention, treatment and operations, as well as HIV tests and assistance services. “We’re honoured to have Piaggio join the fight against AIDS with the launch of the Vespa (RED) to raise money to support the critical work of The Global Fund,” says (RED) CEO, Deborah Dugan. With more than 18 million vehicles sold around the world since 1946, Vespa has been an inimitable symbol of style in the history of mobility. First introduced as the vehicle of choice for Europeans in the post war era, it’s become a symbol of freedom and liberation, and is recognised globally as an Italian style icon. The Piaggio Group has always made the protection and health of children a key concern in their CSI outreaches. The recent Vespa for Children initiative, a collaboration with the Bambino Gesù Hospital of Rome, paved the way for a medical-surgical programme at the National Hospital For Pediatrics of Hanoi in Vietnam. The Piaggo Group’s partnership with (RED) is a new, profound landmark in the group’s rich history of giving back to those in need. Article originally published on Marketing Spread.